The Tupac hologram is about to have some competition. According to a report from Billboard, Augmented Reality Holographic Technology Media, the company that purports to create “the world’s most believable human holograms,” has secured the digital rights for the Notorious B.I.G.’s hologram. The pixelated version of the Brooklyn-born rapper, whose murder in 1997 is still unsolved, will reportedly make its first appearance in an upcoming music video for Faith Evans’ new single. (Evans, Biggie’s widow, also helps control his estate.) The hologram could then go on tour, according to ARHT Media founder Rene Bharti. 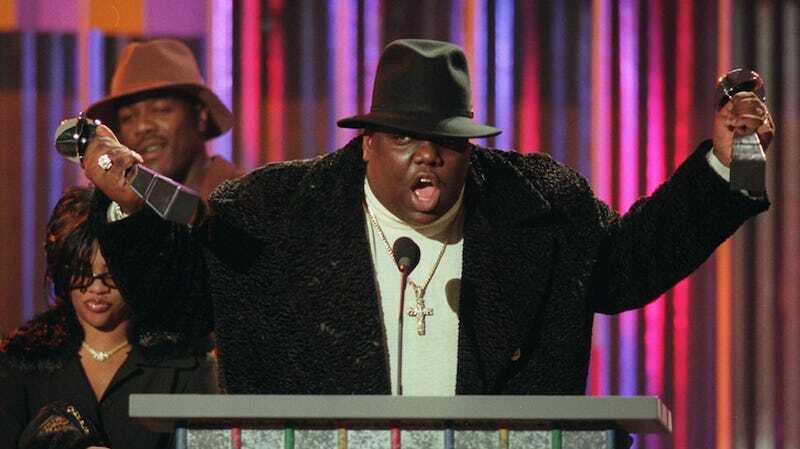 The prospect of a Biggie hologram arose in late March, when Faith Evans discussed the possibility on a radio show. Along with Tupac Shakur—whose weird, faux-hologram appeared at Coachella in 2012—Whitney Houston, Patsy Cline, Buddy Holly, and Michael Jackson have all been targeted in the celebrity hologram trend. Hologram USA, a competing hologram company, had been behind many of these previous resurrections. The company was reportedly in talks to take over the rights for Biggie’s, but ARHT appears to have won that contest, though the idea of winning the rights to hologram a celebrity is an odd victory, to say the least.